The first step towards starting your business is to decide if you want to start as a limited company or as a sole trader. In case, you decide start as a limited company, you need to register your company with Companies House under Companies Act 2006. As the name suggests, it is under Company House where a company is created, renamed, restructured or closed. You can think of it as the birth, marriage and death for companies. More than 3.5 million limited companies are registered in the UK and approx 5,00,000 new companies are incorporated every year. United Kingdom was the first country to create and maintain such an open and transparent corporate information register and this system allows the general public to monitor and inspect the ownership, actions and reliability of each and every company (As per Company Act 2006 ) transacting business in UK. As the official registrar of companies in the UK, Companies house function in three separate countries, each of them having its own registrar. For companies in England, they must register in England and Wales because England and Wales are treated as a single entity and the companies are registered with a unified register, whereas companies in Scotland or Northern Ireland must register with Scotland and companies in Wales may choose to register in either England or Wales or in Wales. Company registrations for England and Wales are done in Cardiff and are subject to English Law. Chief Executive Tim Moss is the Registrar of Companies for England and Wales. Registrations for companies for Scotland are carried out in Edinburgh and they are subject to Scots Law. The Registrar of companies for Scotland is Aoife Martin. For companies in Northern Ireland, registration is done at their satellite office in Belfast and its registrar of companies is Helen Shilliday. Before 1st Oct 2009, all limited companies in Northern Ireland were subject to Northern Ireland Law. Companies Registration Number, also known as CRN Number, is allocated by Companies House once you register your company with it, subject to its approval by the Companies House and is applicable only for the Limited Companies and Limited Liability Partnerships (LLPs).You cannot choose or change your CRN number once issued. 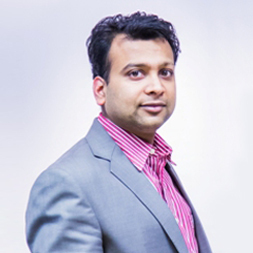 It is a computer generated number which is sequential in nature depending on the country you are getting your company registering with and the type of your company. Companies Registration Number is also commonly known as the Company Number, Registration Number or it is simply abbreviated as CRN and is a unique combination of numbers, and in some cases, letters as well. However, Companies House uses a special reference to distinguish between English and Scottish companies by allocating different prefix to the digits. For example, for the companies which are registered in Scotland will have prefix SC with the digits while for the companies which are registered in England and Wales will have eight digits. Companies registered in Wales don’t have any special reference number in their registration number to distinguish them from their English counterparts; however, they have an option to replace the word Limited or Ltd with either cyfngedig or cyf. Limited Companies formed and registered in England and Wales will have CRNs beginning with “0”, whereas Scottish Limited Companies will have CRNs beginning with the prefix “SC”. Limited Liability Partnerships(LLPs) will have CRNs beginning with prefix “OC” whereas their Scottish counterparts will have CRNs beginning with prefix “SO”.Limited companies based in Northern Ireland are identified by ‘NI’ followed by 6 digits. There are also some older Northern Irish companies with company registration numbers beginning ‘R’ followed by 7 digits, but no new numbers are issued on this basis. LLPs registered in Northern Ireland have references beginning ‘NC’ followed by 6 numbers. Purpose of Company Registration Number - Why/Where is it required? Company Registration Number is used to identify and verify legal presence of your company as an incorporated unit and it is printed on the Certificate of Incorporation and other relevant documents issued by the Companies House. Registration Number of the Company. If you want to change name of your company. If you want to change the registered address of your company. For filing company’s annual account. For setting up or changing a Single Alternative Inspection Location, also known as SAIL address. For appointing or removing a company director, company secretary or any LLP member. For changing details of a company director, company secretary or any LLP member. For changing the company’s accounting reference date. For moving the location of statutory records between the registered office and SAIL address. In case of dissolution of your company. Registration and payment of Corporation Tax and filing company tax returns. Registering the company for submission and payment of VAT. Registering and payment of PAYE reports. For changing the status of the company i.e. from active to dormant. Company Registration Number is also required on occasions like opening a business bank account, issue of share certificates to its shareholders, issue dividend vouchers, any kind of communication with other parties about the business. Where do You Find Your Company Registration Number? 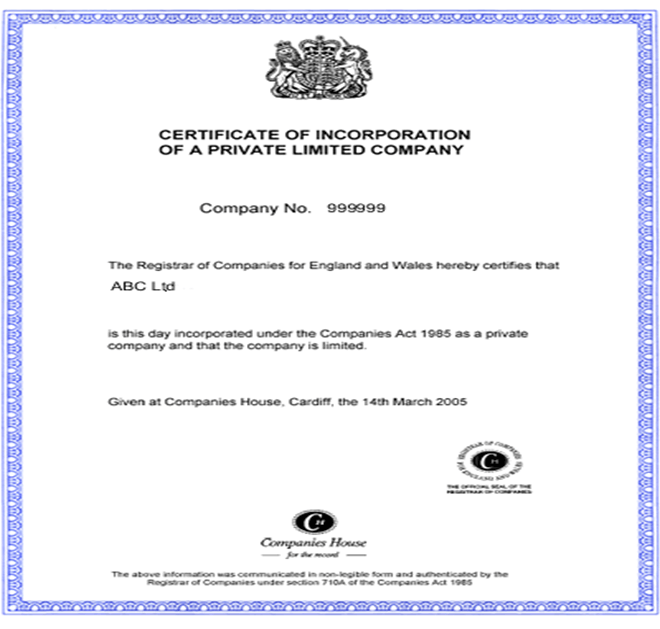 Certificate of Incorporation: When Companies House issue Certificate of Certification, it mentions both the company name and the company registration number on it. Correspondence Letters and Emails: Any sort of official correspondence between your company and your accountant or your agent must have your company number quoted on the letters. Correspondence with Companies House and HMRC: When you receive any official document from Companies House, your company registration number is mentioned on it. Companies House Records: You can search Companies House records by your company name for the company registration number. Company Name Certificate: In case you have changed your company name changed, you would receive a change of company name certificate with company registration number mentioned on it. If you have a business in form of either a Limited or Limited Liability Partnerships, you should make it sure that you have registered the same with Companies House. Once your registration is through, Companies House will allocate Company Registration Number to your company, which is how the government identifies and verifies legal presence of your company as an incorporated unit and it is printed on the Certificate of Incorporation and other relevant documents issued by the Companies House. This is a mandatory step and it helps you to do your business without any hassle. Although it involves a lot of process in registering the company, however you can save yourself from the trouble by hiring/outsourcing services of an experienced professionals who have years of experience in providing company registration services. You need Company Registration Number on various occasions and it is very important to save this number for future use. However, in case you are not able to find it, you can find it on the documents/correspondence you receive from the Companies House/ HMRC.